Justin Kroes joined the Pacific Institute as a communications intern in February. As communications intern, he helps promote the Pacific Institute’s work through event announcements, social media, and outreach. Justin says he joined the Pacific Institute to broaden his experience in science communications and to continue learning about water issues in California. Justin graduated in 2017 with a master’s degree from the Bren School of Environmental Science & Management in Santa Barbara, California. 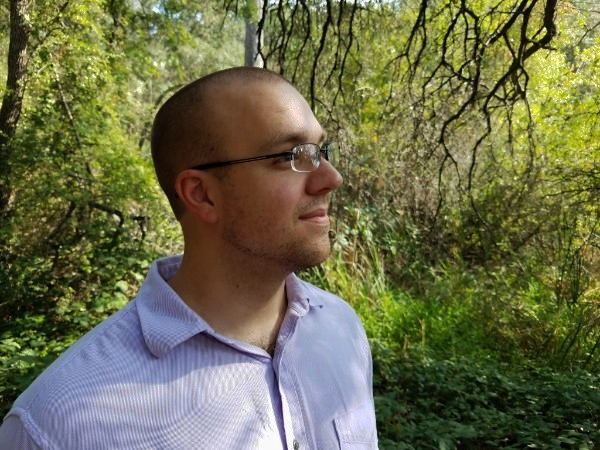 As a student, he helped a non-profit assess the feasibility of using water markets to provide wetland habitat for migratory birds in the Sacramento Valley. He also contributed to research on the links between diet and climate change, and the environmental history and theology of religious minorities in the United States. Outside of work, Justin can be found backpacking through the Southwest United States, tending his vegetable garden, and reading the books he couldn’t make time for as a student.